The fourth world. That’s what Haddon Robinson called it. He took John Stott’s two worlds of preaching – the world of the Bible and the world of the contemporary listener’s culture, and he added two more. First the specific culture of the local congregation (which may differ sharply from the contemporary culture in general). Then the fourth world – the inner world of the preacher. We have to understand all four worlds to preach effectively. I’d like to probe that fourth world in respect to personality types. Now I know these are controversial. There are those in favour, and those against. There are advocates for this taxonomy and those pushing for another. Some oppose them altogether. Some people refuse to be labelled (perhaps a personality thing), others love it (ditto). I’ll let you chase the type tests and theoretical discussions elsewhere. I’m going to try to avoid an exhaustive taxonomy of personality types, and instead probe various possible features with a focus on preaching. Before we dive into this non-exhaustive interaction with some aspects of personality types, let’s be clear on the premise. If you are a preacher, you preach. As much as I understand the spirit behind the prayer, “Lord, let me be invisible today, let us all only see you!”, the reality is that people will see you. And you will show in your preaching in more ways than just your physical presence. Your personality will be a grid through which the message passes multiple times in preparation and delivery. 1. 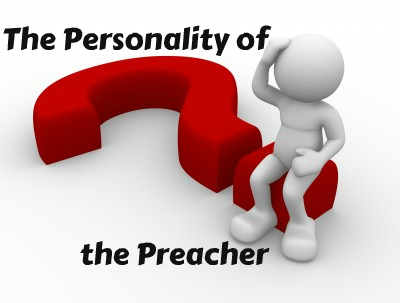 The Dutiful Preacher – Some personalities are strong on issues of duty. They are serious and diligent, responsible and dependable. They tend to promote tradition, work hard and work steadily. I imagine that this type of person will be sure to follow a preparation process carefully (and as a teacher of preaching, I feel encouraged that someone might!) The hours needed for good preaching preparation will probably be found by this personality when others somehow won’t be able to find the same! I feel like I spend a lot of time affirming preparation on this site, but the picture is not all rosy here. There may be a tendency to look for duty and to prioritise the presentation of duty. Perhaps the motivation will be assumed in others. Energy may be poured into what should be done, without focus on why, or understanding of why some seem to be, well, irresponsible. When the gospel sweeps through the hearts of a community, it will change that community for the good. But there is always a danger, for many personalities, to assume that community good is the goal, and to short-cut directly there. Changing hearts cannot be by-passed. I believe that no matter ones personality style, one should be confident in their call to preach, and confident that the Lord will finish the work he has begun in them. I have heard great sermons come from a variety of personalities who are confident in who they are and get on with the job…and yet on the other hand, I have heard terrible sermons from a variety of personalities, who are not confident in themselves and it shows through what ever they preach. I look forward to this series. Whilst I of course agree with the concept “Lord, let me be invisible today, let us all only see you!” the reality is that we are there and, as you say, we will be seen. I have seen many preachers who leave their own personality behind when they get up to speak, this can give the impression that they are insincere. The listeners need to know that we believe in what we are saying and are speaking from the heart. If the person speaking, doesn’t seem to be the person they know it can actually make the speaker more visible. If we don’t use a stained glass voice Monday – Saturday why do we think we should use it on Sunday? I struggle with the concept of letting us only see you.I understand that the preacher does point the way to God, and is to share with us the glory of God. In saying this, I certainly I don’t agree either that we are to stand up and say – hey look at me. I suspect that the biblical basis for the concept of the speaker being invisible is found in 1 Corinthians 2:4 [“My speech and my preaching were not with persuasive words of human wisdom…’]in which Paul, who was a scholar most likely a skilled orator, in effect says that he doesn’t seek to mask to power of God’s message with what may seem to be impressive speech or oratory techniques. I agree that we should be confident in our personality and even more confident in the power of God’s message. Which is, I believe, consistent with what Paul is saying. It wasn’t his personality he was suppressing, rather the temptation to show off his skills. Unfortunately I suspect we’ve all listened to speakers who introduce unnecessary detail which appears only to serve to demonstrate how widely they have read or their own linguistic skill. Avoiding this is surely the type of invisibility we should seek.